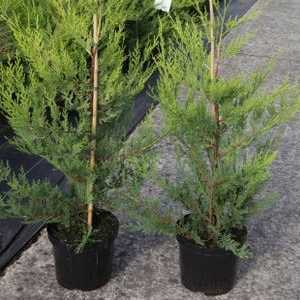 Leylandii Cypressocyparis is a fast growing evergreen conifer. It is slightly slower growing than the green leylandii. If trimmed regularly it can make a very attractive formal hedge. It is ideal for screening and reducing noise pollution.